What is it about an age-old story that makes people want to experience it again and again? Certainly variation via content, form, or other means can help, but how many times can a story play this quasi three-card Monte before people’s interests are sucked toward the table up the block? Selena Anderson is one of the University of Houston’s newly minted PhD’s in Fiction. She completed her MFA at Columbia University where she won the Transatlantic/Henfield Prize. She has held fellowships at the Breadloaf Writers’ Conference, the Carson McCullers Center, and the MacDowell Colony. Her work appears or is forthcoming in AGNI, Joyland, Georgia Review, Callaloo, Glimmer Train, Kenyon Review Online, NANO Fiction, and elsewhere. 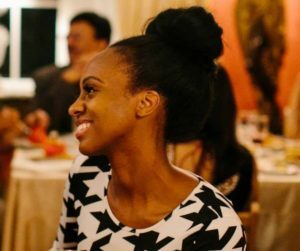 Recent UHCWP grad Melanie Brkich interviewed Selena about her work, her new teaching job, and what she’ll miss most about Houston. Melanie Brkich: Congrats on successfully defending your dissertation! How does it feel to be a doctor? Selena Anderson: Thank you, Melanie! It’s cool! I’ve been working towards it for a long time and it’s always nice to accomplish something that you’ve worked so hard for. MB: What is your dissertation about? Where did you draw the inspiration for it? As many Houstonians know, Ars Lyrica Houston presents a diverse array of music from the 17th and 18th centuries on period instruments. The 2016-17 season was no exception, and as the season is now coming to a close, Ars Lyrica is concluding with a decidedly interesting finale: a performance based on Cervantes’s literary classic Don Quixote. 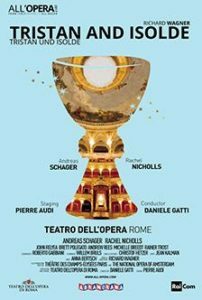 I had a chance to discuss the project with Ars Lyrica founder and artistic director, Matthew Dirst. 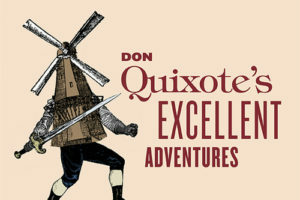 MATTHEW KRAJNIAK: What inspired you to take the literary figure of Don Quixote and turn his experiences into an orchestrated musical production? 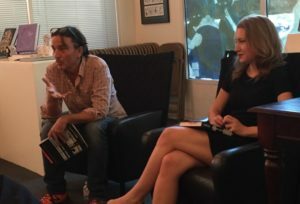 On Monday, May 1, Kristen Radke, author of the newly released graphic memoir-inquiry-novel Imagine Wanting Only This, spoke to Houston’s own beloved, award-winning poet and writer Nick Flynn at Brazos Bookstore. Radke began the event by expressing her “admiration for booksellers.” She is the managing editor of the popular indie press Sarabande, so is familiar with both sides of the book industry. She also explained that Imagine Wanting Only This is “about ruins and abandoned places.” She decided to read an excerpt from the very end and “give it all away.” The section, a monologue, read like poetry in its pacing and probing of abstract ideas. A slideshow of the accompanying illustrations was also played.